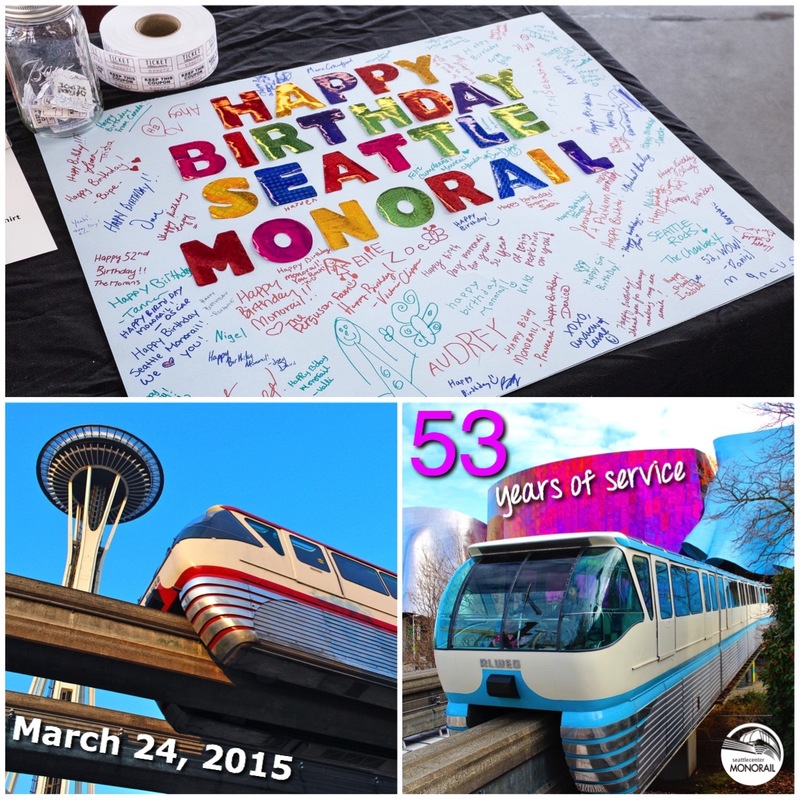 Seattle Center Monorail celebrates its 53rd Birthday on Tuesday, March 24, 2015! Stop by our Monorail Station at Seattle Center (next to the Space Needle) between 11:30am-1:30pm to sign our Monorail birthday card, enjoy free, delicious KuKuRuZu Gourmet Popcorn, and enter to win an awesome Seattle Center raffle prize which includes tickets to Ride the Ducks of Seattle, EMP Museum, Pacific Science Center and of course, the Seattle Center Monorail! Hope to see you here! We love you, Seattle! Seattle Center Monorail opened to the public on March 24, 1962. The Monorail was built to provide a crucial link between downtown’s amenities and the 1962 Seattle World’s Fair. Ridership in 2014 was 2,162,594. Seattle Center Monorail is owned by the City of Seattle but operated under a concession agreement with the City by Seattle Monorail Services with an independent leadership and staff.